1.These flashing skull rings are perfect for Halloween. 2.They are also great party favors for little ones. You can give them away to your children, grandchildren, nieces and nephews. Kids play them all day long and will ask for more! 3.The rings can fit quite a few different size fingers as it has enough give to stretch and does not feel constricting even on your thumb. 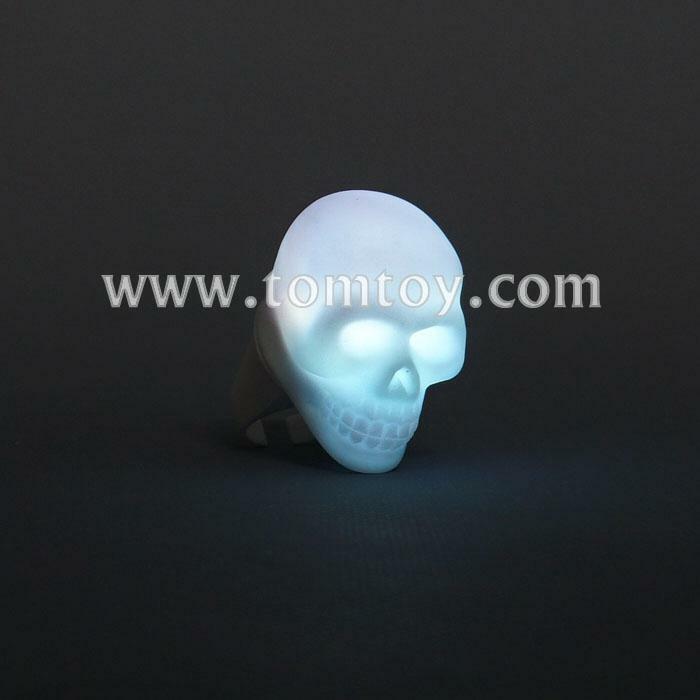 4.It is easy to turn flashing ring toys on/off, just push the button of the led light and the flashing starts with all kinds of bright colors, push the button again and the flashing stops. The led light is in the middle of the ring and it has built in battery that supply the power for the led light. 5.They are all individually wrapped so perfect for giving them individually. Great to keep the children and adults both entertained.